$800 for driver quality seats? Guy needs a reality check. Must have called Desert Valley Auto Parts to get comparative pricing...lol! He'll be lucky to get half that. I could run out today and get a clean set (needing new covers, of course) for $300. Yeah, they seem high to me too. Plus, I'd want closeups of those cushions (the right one looks like it has a tear in the first photo) and the side seems that always split. And what the hell does he mean by 'strip and dip'? I'm thinking the swivel platforms. They look kind of crusty underneath. I'm not saying they aren't a good set of swivel buckets...just, that there seems to be plenty of them if you look on Craigslist and e-Bay for WAY less. I know the salvage yard I visit has had a couple of decent sets sitting inside the cars in their yard for over 2-3 yrs and they can't get them sold for $300. Often see others for $250-$300 sitting on local Craigslist unsold for weeks or months on end. I've sold a couple sets about as nice as these and it was all I could do to get $250 after many weeks on Craigslist. I don't know. They are around, but usually the feet are rusted off or the upholstery is completely shot. And the upholstery ain't cheap either. I think these guys are gougers, but these things are really getting harder to find around here at a decent price and in decent shape. I think the days of finding them relatively cheap are over in some parts of the country. MC77, might be a good idea to go grab those at the scrap yard? You may be right about prices being higher in some parts of the country. I just don't have any confidence in being able to sell a set for any more than $250-$300 based on past experiences and what I see in the listings around here. Thing is, if those seats for $800 have any wear no matter how minor, they aren't any different than a set whose covers are tattered. A new owner is going to want to re-cover them. Must be something about Minn that you guys have all the best junk...like my bumper I kinda hate ya. A yard up here got in a '75 Cutlass this summer that has those reversible cushion swivel buckets. Kinda cool...but, you aren't going to find aftermarket seat covers for those...lol! 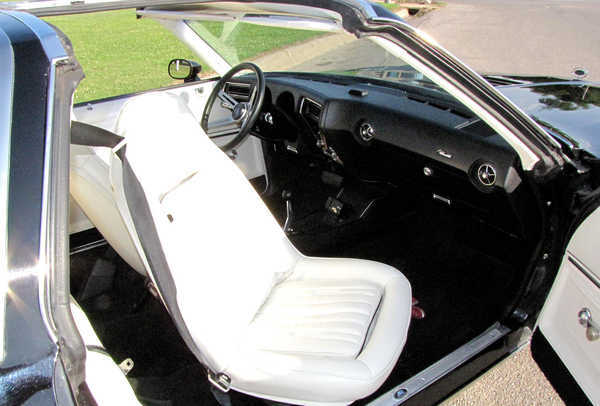 All the 74 and 75 Laguna's with vinyl interior that I've seen didn't have buttons and had the perforated vinyl. I'm thinking this pattern is for a Monte??? Regardless, these are pretty pricey considering the headrest is deformed from being stored upside down for who knows how long. The last set I sold on Ebay which were in better condition than these I sold for $350. Those of us that have spent time behind the wheel know....they're not comfortable seats!! I guess I might be in the minority, but I find them to not only be practical to get in and out of, but also comfortable with the proper upgrades. I used new seat foams with mine and a little memory foam for added comfort and the cool factor is always apparent at the car shows. I wouldn't trade them for anything. Agree with the cool factor. I've never found them to be uncomfortable; although, I've never driven long distances in them. They do just fine for me on those weekend cruise-arounds. Guess I've have got too soft with the convenience of modern seating and the ability to recline....as with my current set-up. impalamonte wrote: Guess I've have got too soft with the convenience of modern seating and the ability to recline....as with my current set-up. Yeah, I think that's the crux of it -- our bodies change over time and what feels comfortable now is not the same as it used to be. I still find my swivels comfy, but 30 pounds years ago they used to be positively snuggly. Mcarlo77 wrote: A yard up here got in a '75 Cutlass this summer that has those reversible cushion swivel buckets. Kinda cool...but, you aren't going to find aftermarket seat covers for those...lol! Yes, Olds had them. The seat back and base had inserts that you could "reverse" for 2 different seat patterns. Wow, that's cool! Never seen those in the wild. g3chevy wrote: I guess I might being in the minority, but I find them to not only be practical to get in and out of, but also comfortable with the proper upgrades. I used new seat foams with mine and a little memory foam for added comfort and the cool factor is always apparent at the car shows. I wouldn't trade them for anything. X2 I love mine. I have the velour seat and back insert style. New foam was in stalled at the same time the new covers were put on. Its seams like everytime someone new is in my car it only takes a few seconds for them to say Comfy seats! 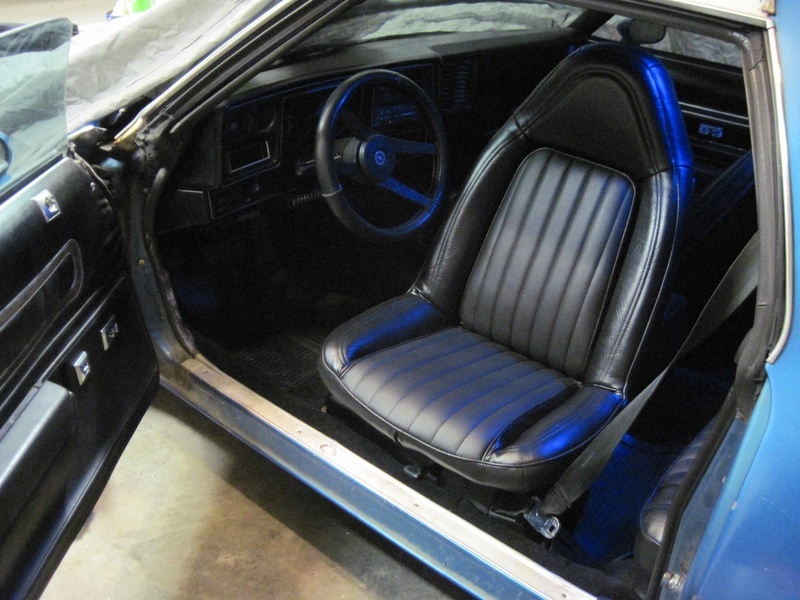 I've got to chime in here and say the are more comfortable than the bench I pulled out more comfortable than the seats in my kids G6 and my current Nissan daily driver, I only wish mine were cloth not vinyl. My wife with her bad hip says the swivel is the easiest car seat to get in and out of. As for price yest over the top I think. 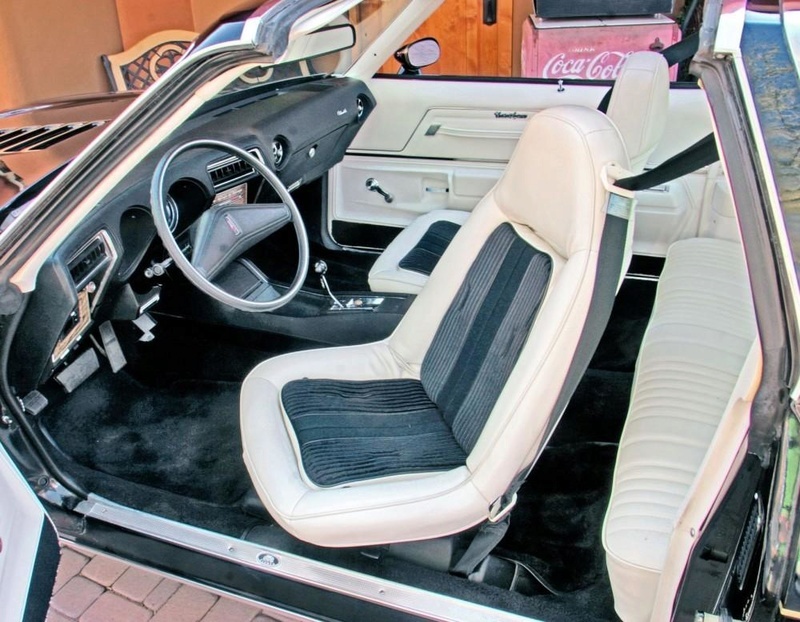 I found my set with new upholstery on them for $600 Canadian, that included the matching rear bench and the console with the shifter plus some other odds and ends in the deal. These seats looked practically brand new on the upholstery side of things. I did need to get a second set to donate parts like levers ends and a base that was less sloppy / worn for the drivers seat but that was another $80 Canadian.